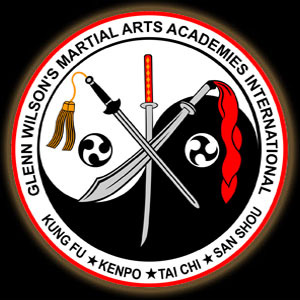 Professor Rick has been training in Pai Lum Tao under the instruction of Grandmaster Glenn C. Wilson for over 30 years. In 1993, while residing in League City, Texas, Rick opened his first academy under the name "Academy of Kung Fu". He moved to Magnolia, Texas in 2007 where he will be opening a new academy soon. Rick serves as the Texas State Director for the White Dragon Warrior Society and sits as a board member for the Board of Directors of the Gong Yuen Chuan Fa - Pai Lum Tao orginization. He's also a cerified instructor and coach for the Worldchampion 'Pai Lum Tao' Team USA. Rick has received 3 Hall of Fame inductions and is an award winning instructor, receiving 4 Instructor of the Year awards. He's appeared in several national and international publications such as Inside Kung Fu and Showgun magazines as well as Pai Lum books and training videos. He has also served as personal security for 12-Time World Kickboxing Champion and international movie star Don "The Dragon" Wilson as well as for the internationally known Dutch rock band Golden Earring. Professor Rick believes that to measure an instructor, you must measure his or her students. Staying true to this statement and through the love of teaching, he has produced many State, National, and World Champions. His level of commitment to each and every student's development, in and out of class, is unmatched. Your successfulness is his happiness!